Hong Kong, — Skyrail-ITM (Hong Kong) Ltd. is pleased to announce that Ngong Ping 360 will officially open to the public at 1:00 pm on Monday, 18 September. The date and time was agreed with the Government and MTR Corporation following the successful completion of the seven-day trial run. "Ngong Ping 360 is a world-class tourist attraction that everyone in Hong Kong can take pride in" said Bill Calderwood, Managing Director of Skyrail. 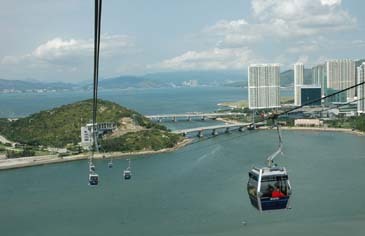 "In addition to the spectacular cable car ride with panoramic views of the North Lantau Country Park and Tung Chung Bay, our guests can be assured that the cableway and its supporting systems will offer a reliable, comfortable and fun tourism experience." A total of 1,688 Skyrail Experience tickets for the inaugural day of 18 September will be available for sale from 13 September at the Ngong Ping 360 Ticketing Counters at Tung Chung and Ngong Ping terminals, as well as at the MTR Customer Service Counter near Exit B at MTR Central Station, at a cost of HK$88. In addition to the panoramic views on board Ngong Ping Skyrail, and the exciting variety of shopping, dining and entertainment experiences offered at Ngong Ping Village, visitors on the first day will also receive an inauguration certificate as a memento. From 15 September, Ngong Ping Skyrail Experience: Return Tickets valid for use from 19 September onwards will be available at both the Tung Chung and Ngong Ping Skyrail Terminals, vouchers for the Return Skyrail Experience are also available Customer Service Counters at selected MTR Stations, and selected travel agent partners. Ngong Ping 360 is open from 10:00 am to 6:00 pm on weekdays, 10:00 am to 6:30 pm on weekends, and 9:00 am to 6:30 pm on special and peak days. 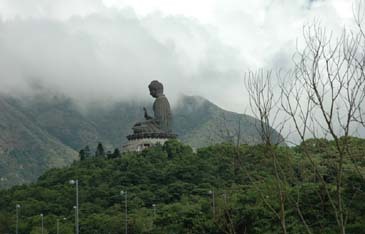 Ngong Ping 360 is located minutes from MTR Tung Chung Station, only 36 minutes by MTR from the Tung Chung Line's Hong Kong Station in Central and is easily accessible from the international airport. It was developed and financed by the MTR Corporation, and is managed by Skyrail-ITM (Hong Kong) Ltd, whose Australian parent company operates the world-famous Skyrail Rainforest Cableway in Cairns and the SkySafari cableway at Sydney's Taronga Zoo. 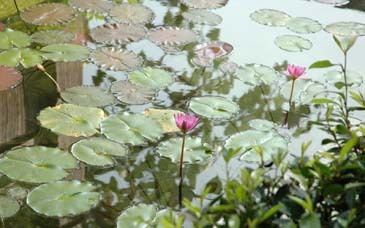 For more information, visit www.np360.com.hk or call the hotline on +852 2109 9898.